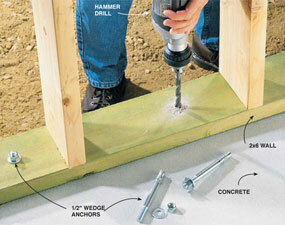 Concrete anchors are used to fasten or secure many different kinds of things to concrete and masonry. Concrete wedge anchors, also known as expansion bolts and expansion anchors, secure themselves to concrete using a mechanical wedging effect at the end of the anchor. After a hole is drilled into the concrete, the Hilti wedge anchor is tapped into the hole. 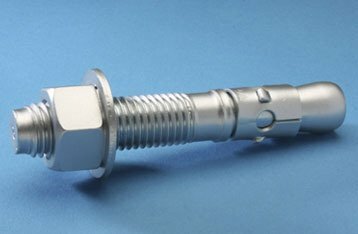 The tightening of the bolt results in a wedge being driven up against a sleeve which jams the end of the bolt into the concrete, providing the strength. Many different manufactures provide a variation to the wedging action for you to choose from, depending on the condition of the concrete and the type of load you are securing to it. 1. 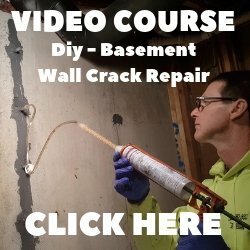 Drill a hole in the concrete using a hammer drill and a carbide tipped masonry drill bit the same diameter as the wedge anchor. If the fixture being fastened is in place and being used as a template to locate the hole for the wedge anchor, the mounting hole in the fixture should afford clearance for the universal wedge clip on the anchor stud. 2. Clear the hole of all debris, then place the wedge anchor through the hole in the fixture or directly into the concrete, and hammer it in to the drilled hole, ensuring that it is installed to the desired depth. 3. Turn the nut by hand until the unit is "snugged up". Tighten the nut with a torque wrench to ensure it is tightened to the required torque value. To determine the minimum anchor length required, simply add minimum embedment, plus fixture thickness, plus the thickness of the nut and washer. The wedge anchor requires no maximum hole depth. The depth of the hole in the concrete should be the length of the wedge anchor minus the thickness of the material being fastened. This will result in some extra depth to accommodate a minor amount of concrete dust which may not be able to be cleaned out of the hole. The forces on a wedge anchor are transferred to the material in which it is installed. If the anchors are installed too close together, it can cause an interaction of the forces, thus reducing the holding power of the anchors. As a rule of thumb, the concrete anchor industry has established a minimum standard of ten (10) anchor diameters for spacing between anchors and five (5) anchor diameters from an unsupported edge. When vibration or sudden impact are part of the load condition anchor spacing should be increased. 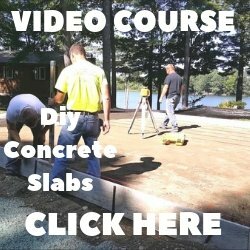 Check out the video below to learn how to install concrete wedge anchors.